Ranking the NBA's new head coaches: Who is facing the most pressure? 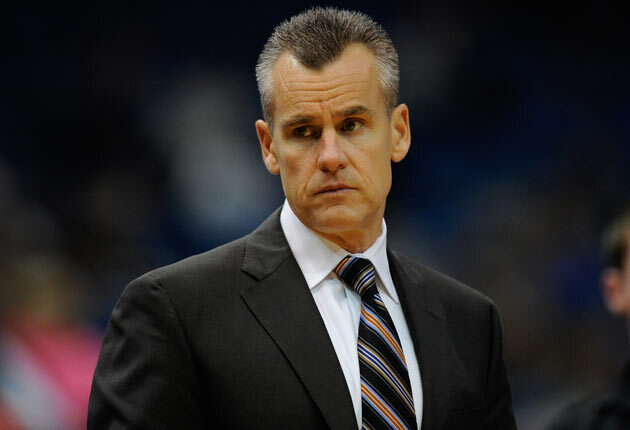 From dynasty do demolition: Anything is possible for Billy Donovan and the Thunder. Seven NBA teams will open the 2015-16 season with new head coaches, but the state of the profession was relatively stable this summer thanks in part to a number of guillotine candidates managing to hang onto their jobs. Toronto’s Dwane Casey, Cleveland’s David Blatt, and Washington’s Randy Wittman all survived despite rumors and rumblings at various points of last season, while Byron Scott returns to the Lakers’ bench despite posting the worst single-season winning percentage in the franchise’s illustrious 67-year history. All told, coaching turnover decreased for the second straight season: there were 14 new coaches entering the 2013-14 season and nine new coaches entering last season. What’s more, there were zero true repeat offenders. The Timberwolves are the only team opening 2015-16 with a new coach for the second straight season, and they’re only doing so because of the terrible circumstances surrounding Flip Saunders’ battle with Hodgkin’s Lymphoma. At this time last year, by comparison, five teams were trotting out new coaches for the second straight season. Seven coaching changes is still a lot, however, and pink slips were handed out by contenders and also-rans alike. In truth, there weren’t that many surprises, in part because the highest-profile firings—Scott Brooks in Okahoma City, Tom Thibodeau in Chicago, and Monty Williams in New Orleans—were at least somewhat anticipated. Let’s welcome the new coaches in the only manner that seems appropriate: ranking them by who faces the most pressure this season. The following factors weighed in these rankings: external expectations, the talent and experience of the roster, the team’s recent success (or lack thereof), their level of experience, the organization’s front-office and ownership dynamics, and market size. Few NBA coaches have a sweeter setup than what Skiles will enjoy in Orlando. For starters, he’s a proven turn-around artist being asked to execute a turn-around. He took over rebuilding situations at his three previous stops—Phoenix, Chicago and Milwaukee—and he eventually coaxed meaningful improvement out of all three teams. This job is right in his wheelhouse, and it helps that he’s taking over from a first-time coach in Jacque Vaughn who never really distinguished himself or managed to instill a perceptible team identity. Roundtable: Which NBA star is under the most pressure this season? ​​Even better, the Magic’s failure to win more than 25 games in each of the last three seasons has plunged expectations about as low as they can go. But, wait, there’s more: Orlando has been collecting young talent for three years now, including first-round guys like Victor Oladipo, Nikola Vucevic, Tobias Harris, Aaron Gordon, and Elfrid Payton, so Skiles isn’t inheriting an empty cupboard. Improvement from this developing core is expected, if not guaranteed, as they gain experience. Orlando ranked 25th or worse on both sides of the ball last season, and it’s hard to imagine Skiles will let that happen again. There are other tie-loosening factors at play. Skiles happens to be a popular former Magic player who spent five seasons in Orlando during the early-1990s, he’s working under an unproven GM in Rob Hennigan, and he doesn’t have any imminent, franchise-changing free-agency decisions looming over him. The national media has understandably ignored this franchise since Dwight Howard left, so Skiles is free to take his time getting the ship righted. 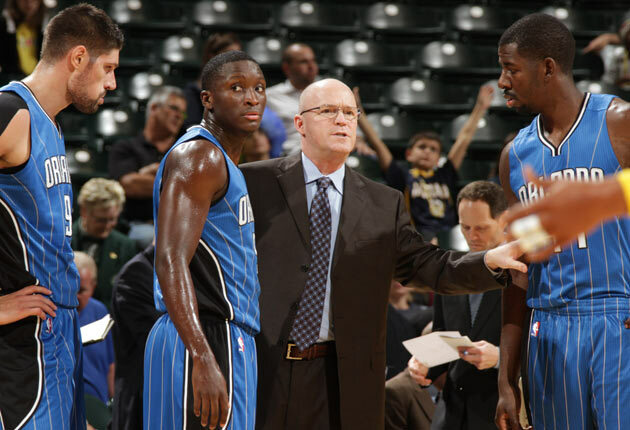 If the Magic beat expectations and make a surprising run at a low playoff seed, Skiles might even find himself in the Coach of the Year conversation. As with Skiles in Orlando, the easiest way to make a good first impression as an NBA coach is to take over from a rookie who fell flat on his face. The Brian Shaw era in Denver was one of the most underrated disasters in recent memory: He couldn’t settle on lineups and rotations, he called out and clashed publicly with his players on multiple occasions, he failed to get consistency from a fairly talented and expensive roster, he admitted to struggling to connect with his younger players and, in perhaps his lowest moment, he tried rapping his pre-game scouting reports. As the kids say: Bruh. ​To be clear, Michael Malone had his own share of drama during his 106-game tenure in Sacramento. But Malone showed real progress in Year One, before he was abruptly canned by wild-card owner Vivek Ranadive, and he succeeded in connecting with his All-Star center DeMarcus Cousins, which was his top order of business. The miffed (and, in some cases, outraged) reaction to his firing, and Sacramento’s retched play under his interim successor Tyrone Corbin, made his tenure look better than his 39-67 record might initially suggest. Two full years of directionless weirdness from the Nuggets’ front office has unintentionally set up Malone nicely this season. 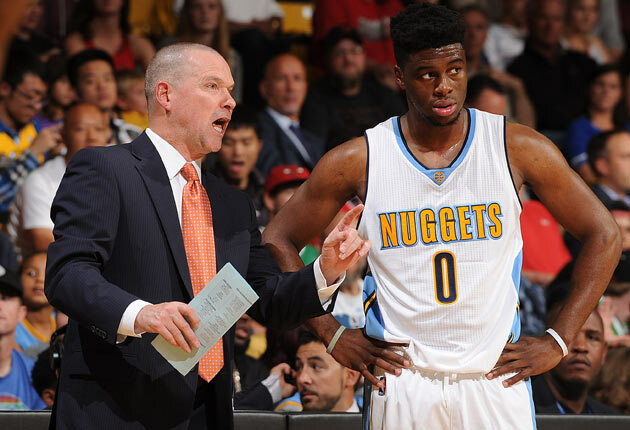 Denver doesn’t have a single 2016 All-Star candidate on its roster and it plans to start teenager Emmanuel Mudiay at point guard after dumping Ty Lawson and his off-court issues to the Rockets. Those two factors alone guarantee that expectations are nonexistent in the loaded West. Indeed, Malone’s season will be deemed a success if Denver improves its bottom-five defense, if Mudiay shows the potential to be a foundational player, and if the front office gains clarity on which members of its mish-mashed roster are keepers (hint: not JJ Hickson). That’s a pretty low bar, all things considered, and Malone should be up to the task. The only real hurdle will be balancing minutes between the younger members of his roster and his roster’s numerous veterans, as competing interests exist up and down the roster. 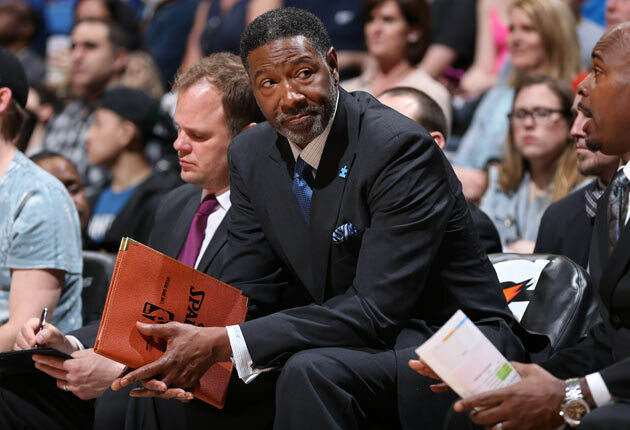 The bulk of the pressure facing Sam Mitchell was unavoidable. It just boils down to timing: Mitchell was named interim coach, in place of Saunders, less than a month before Minnesota opened training camp. That’s not an ideal situation for any coach, let alone one who hasn’t held a head job since 2009 and is being asked to take over a 16-win roster with no timetable on how his job status might change going forward. Best wishes to Saunders for a full recovery, and major kudos to Mitchell for stepping up to the plate in the Timberwolves’ moment of need. Handicapping the 2015 NBA Rookie of the Year race: Who are the favorites? ​Once the games begin, Mitchell will begin facing the heightened expectations and scrutiny that comes with two very promising No. 1 overall selections: Andrew Wiggins and Karl-Anthony Towns. Both players have the potential to be perennial All-Stars, and any stagnation or stumbling in their developmental arcs will lead to second-guessing. This is a legitimately tall order: Mitchell must maximize the talents of two players who aren’t yet of legal drinking age with little in the way of preparation time. Further complicating matters is a roster that’s equal parts youth movement, retirement home and hospital ward. Ultra-vets Kevin Garnett, Tayshaun Prince and Andre Miller are all the definition of known quantities, but any on-court success they achieve this season will necessarily come at the expense of Minnesota’s prospects. Meanwhile, Ricky Rubio, Kevin Martin and Nikola Pekovic have proven to be valuable rotation players when healthy and progress-killers when sidelined with injuries. Add it all up, and Mitchell will be juggling all season long. Lastly, there’s an element of impatience in Minnesota that doesn’t quite exist in Orlando or Denver, as the Timberwolves haven’t made the playoffs since 2004. The extraordinary circumstances surrounding this job and Mitchell’s history as a long-time player with the Timberwolves may help ease some of that burden on that front, but many fans will nevertheless expect significant progress over a dismal 2014-15 season. Again, kudos to Mitchell for leaping into this fray. Of the seven coaches on this list, Alvin Gentry is the trickiest one to gauge because there are two sets of competing factors at play when it comes to the expectation game for the Pelicans. On the inflationary side, there is the very real demand for progress. Monty Williams, Gentry’s predecessor, was fired at arguably the highest point of his tenure. Williams had spent the previous four seasons building up a new core following the departure of Chris Paul, and he had succeeded in landing New Orleans in the playoffs thanks to a dramatic victory over the Spurs in a win-or-die season finale. Parting with Williams sent a clear message: his best wasn’t good enough, and Gentry inherits that burden. 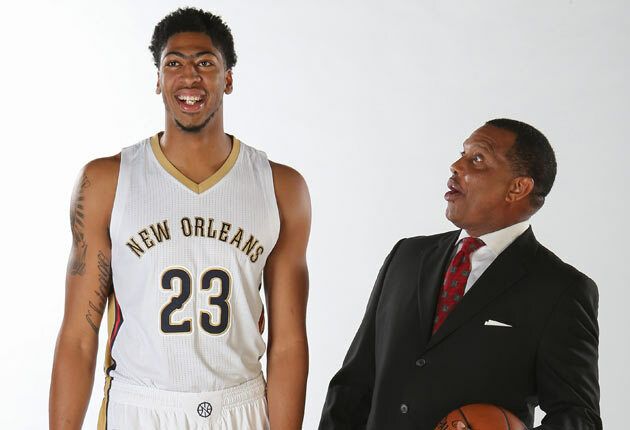 Fueling expectations even further is the nonstop, warranted hype around Anthony Davis. Last season saw Davis progress from star to MVP candidate, as he led the league in Player Efficiency Rating at age 21 and landed at No. 3 on SI.com’s Top 100 Players of 2016 list. A talent like this puts his coach in “no excuses” territory far more quickly than you might think. For comparison’s sake, LeBron James made the Finals at age 22, while Kevin Durant went to the West finals at age 22 and the Finals at age 23. As crazy as it sounds, a first-round exit for Davis, even at age 22 and even in the West, might be viewed as a disappointment this season. That fate would be doubly disappointing for Gentry when compared to the ring he won as a Warriors assistant last season. Now, let’s talk deflation before the hype train hits 100 miles per hour. Above all else, there’s the injury factor. Gentry’s been dealt a pretty crummy hand: Jrue Holiday, Eric Gordon, Ryan Anderson, Omer Asik and Alex Ajinca are all either injured, injury-prone or recovering from a serious injury. That’s roughly half his rotation; no team can be expected to thrive with so many questionable links in the chain. The Pelicans’ lack of success historically and the fact that they’re not the Saints both play to Gentry’s advantage. The franchise hasn’t won a playoff series since 2008 and should get some time to build up. That’s especially true now that Davis signed a five-year rookie extension this summer. With that signature, all Pelicans’ plans became multi-year plans. On balance, Gentry will need to show progress this season, both with the potency of the Pelicans’ attack, which is his specialty, and in molding Davis’s path to greatness. The health of his club will determine how far it goes, and it may well end up being the chief explanation if they flat-line in the postseason. This season, Gentry should enjoy the benefit of perspective, which is more than can be said for the three remaining names on this list. Remarkably, there was some doubt as to whether Karl would survive the summer. 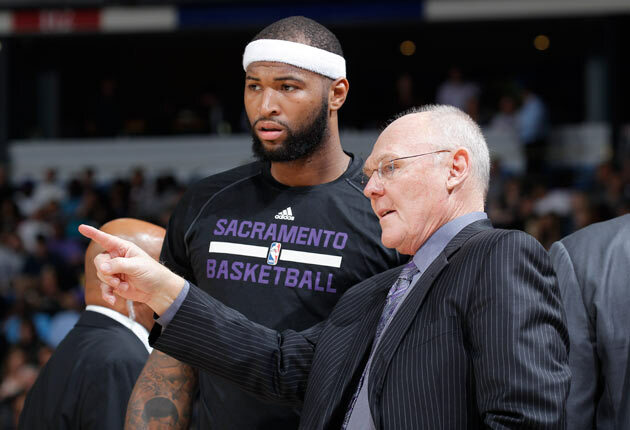 The current Kings regime isn’t exactly known for its grace under fire, and Karl courted tension with All-Star center DeMarcus Cousins with some questionable comments in the media. Cooler heads ultimately prevailed, but only after an awkward encounter between player and coach at Las Vegas Summer League and yet another round of Cousins trade rumors. ​Karl is in a unique position, even for an NBA coach: outsiders expect, and in some cases are rooting for, an utter catastrophe. Chaos is a distinct possibility. There are so many potential potholes looming: Cousins’ volatility, Rajon Rondo’s unpredictability, owner Vivek Ranadive’s impatience, GM Vlade Divac’s inexperience, a whole host of lineup questions, and a drab team culture that hasn’t produced a winning squad since 2006. In that light, it might be tempting to see Karl as a success if the Kings are merely bad but not embarrassing or overtly dysfunctional. But it’s just not that simple. Ranadive has proven that he isn’t willing to settle for bad. Cousins is clearly sick of being bad. And Karl, a former Coach of the Year with 26 years of NBA experience, isn’t used to be being bad. If the Kings are bad again, they won’t be going quietly into the night. There will be blood in one form or another. Perhaps that’s one reason Karl came out and said his team has the potential to go .500, which amounts to a high bar for this organization. The stakes are high, the margin for error is slim, and 41 wins would represent significant upward momentum that would ease a lot of tension and buy everyone involved a little time. Divac made enough short-term moves this summer to make 41 wins a reality, but a lot of things will need to break right to actually make it happen. That said, Sacramento hasn’t been known as a place where a lot of things break right in recent years, so Karl enters 2015-16 with about as much pressure as any coach that’s likely headed to the lottery will ever face. When Fred Hoiberg decided to make the jump from Iowa State to the Bulls, he was forced to make a series of trade-offs. In exchange for getting to coach one of the NBA’s biggest and most successful brands, he has to deal with the scrutiny that comes with playing in one of the country’s largest markets and work under a management regime that clashed with his predecessor. In exchange for getting to coach one of the East’s deepest and most talented rosters, he has to find a way to keep everyone happy while implementing an entirely new system. In exchange for inheriting a squad that made the playoffs five straight years, he has to win—big and immediately—lest he be compared unfavorably to Tom Thibodeau. The pressure is coming at Hoiberg from all sides: from above, from the fan base, from his accomplished roster of players, and from comparisons to the recent past. And that’s before you even consider the negative energy that seems to build over the team whenever Derrick Rose opens his mouth, or the injuries already sustained by Rose and Mike Dunleavy Jr., or the likelihood that Rose will miss time for one reason or another this season, or the brewing rumors of discord between Rose and Jimmy Butler. Opening night is still weeks away and, if it wasn’t for Derek Fisher and Matt Barnes, the Bulls would have already lapped the field when it comes to unnecessary distractions and potentially damaging noise. ​It says a lot about Hoiberg’s confidence and competitive nature that he welcomed all of these headaches when he could have kept on enjoying the good life as “The Mayor” of Ames. In a best-case scenario, his higher-paced, free-flowing system helps Chicago finally get past LeBron James in the playoffs, and Hoiberg gets a congratulatory Steve Kerr-like treatment from the media. In a worst-case scenario, injuries strike yet again and the Bulls realize, too late, that Thibodeau’s single-mindedness was indeed the key to overcoming mid-season adversity. The rational view here should be one that emphasizes patience during the transition, particularly because many of Chicago’s key pieces—Rose, Joakim Noah, and Paul Gasol in particular—are questionable fits in a more wide-open style. Unfortunately, “rational” and “patience” are luxuries that a team that has been stuck as a quasi-contender for a half-decade simply can’t afford. 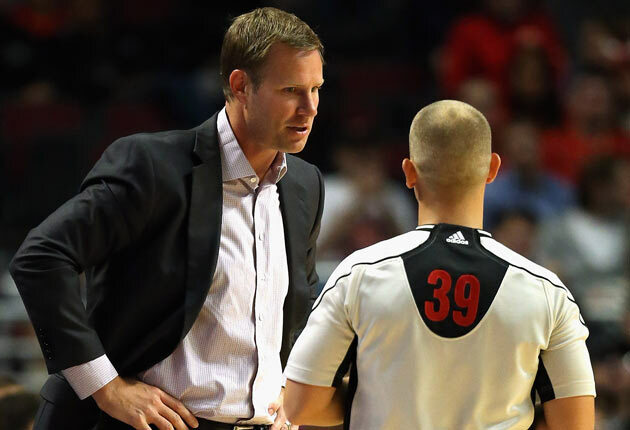 Fair or not, Hoiberg will need to hit the ground running and show real results right out of the gate. “Hey, coach, I’m really glad you could meet with us today. We’d love for you to consider joining the Thunder. There’s really only one catch, and I hope it’s not too big of a deal. If something doesn’t go quite right, whether it just takes you awhile to to the NBA, or whether it’s an injury to one of our three stars who all underwent surgery last season, or whether our young supporting pieces fail to deliver in the postseason, or whether our tough conference competition simply outplays us, there’s a chance—a small chance!—that Kevin Durant decides not to re-sign with us next summer. “Now, if Kevin doesn’t re-sign, then there’s a chance—again, a small chance!—that we’ll either need to trade Russell Westbrook or prepare for him to leave in 2017. Now, if Kevin and Russell both leave—this is only a hypothetical!—then there’s a chance Serge Ibaka leaves too. Then we might—might!—be rebuilding around Enes Kanter. At that point, there’s a chance—a small chance!—that we would be dealing with a disillusioned fan base that can’t wrap its head around the fact that we never won a title and made just one Finals appearance with eight years of Durant and Westbrook together. Plus that whole James Harden thing, but we actively avoid mentioning that. ​Hopefully, that’s not quite how Thunder GM Sam Presti’s recruiting pitch to Billy Donovan went this summer. Whether Donovan chooses to publicly acknowledge this nightmare scenario or not, there’s no getting around the immense stakes facing Oklahoma City this season. A title run could re-open a championship window that extends for the next five years, or more. Another injury-plagued season like last year might lead Durant to seek out greener pastures and bring down the entire house of cards. One could argue that Donovan, who arrives from the University of Florida, will face more pressure this season than any NBA coach in the last five or 10 years. Erik Spoelstra might have been axed if the Heat had stumbled in the 2011 playoffs, but the “Big Three” era would have continued on without him. David Blatt might have gotten the quick pull if he had cost the Cavaliers their second-round series against the Bulls with his terrible timeout call, but James wasn’t going to leave Cleveland after one try. What, precisely, is the range of possibilities for Donovan in his first year as a professional coach? Everything from dynasty to demolition. Now that’s pressure of the highest order.